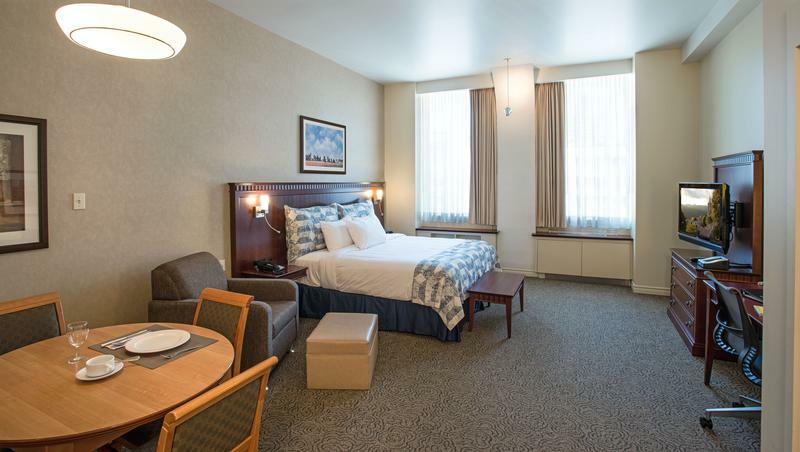 Studios of the Square Phillips hotel, with their king-sized ou double-sized beds, are adapted for small families and couples. 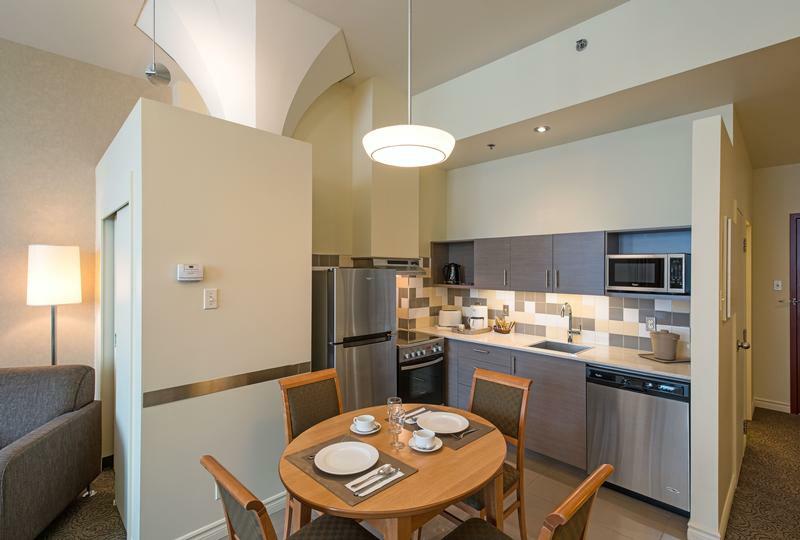 Furthermore, you can enjoy an entirely equipped kitchenette with a fridge, oven, dishwasher and everything necessary to cook an homemade meal. 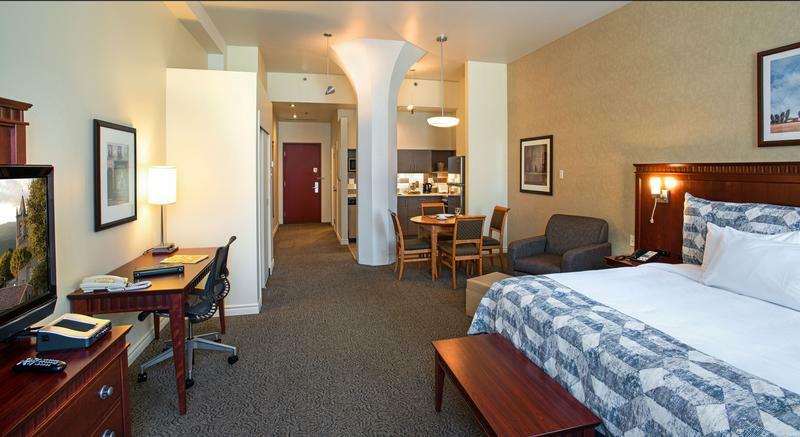 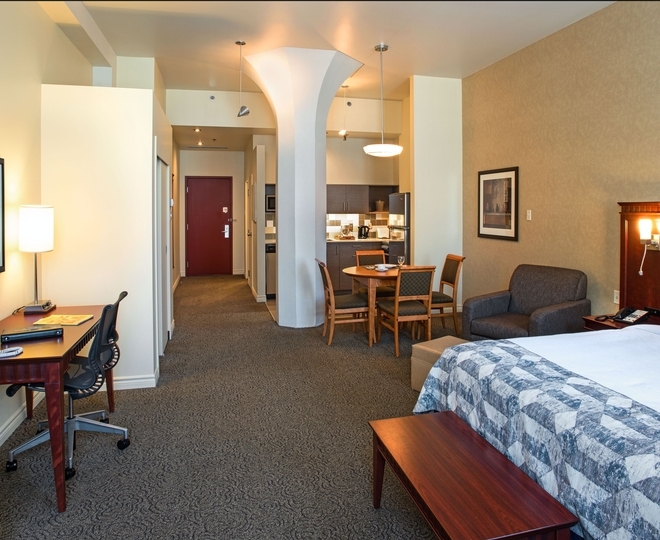 During your stay, you will have the opportunity to choose between one of the many restaurants in downtown Montreal or simply cook in your room. 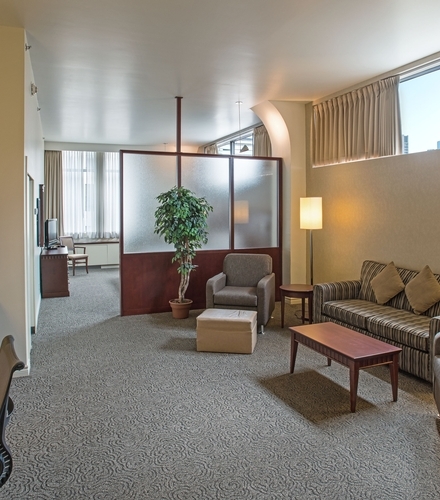 You also have access to a work desk, an HD television and a multimedia terminal that allows you to connect almost any audio or video device, like your computer, camera or mp3 player. 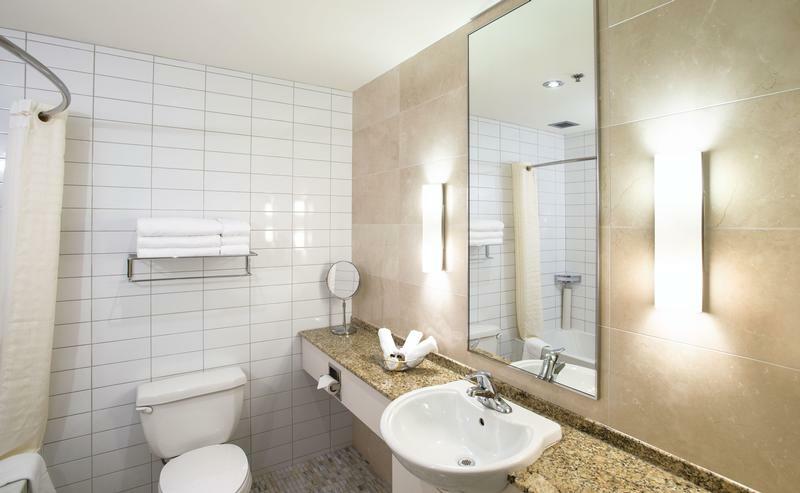 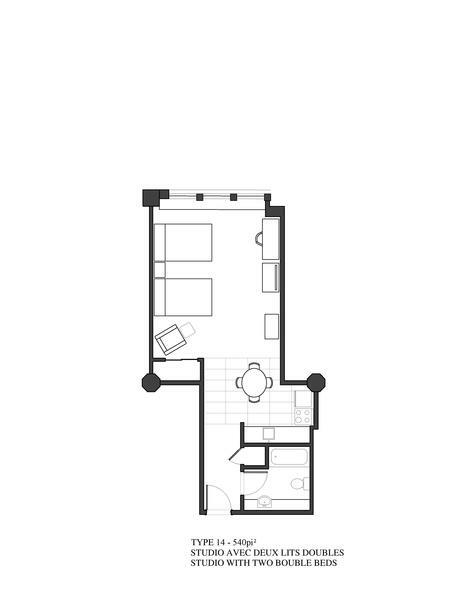 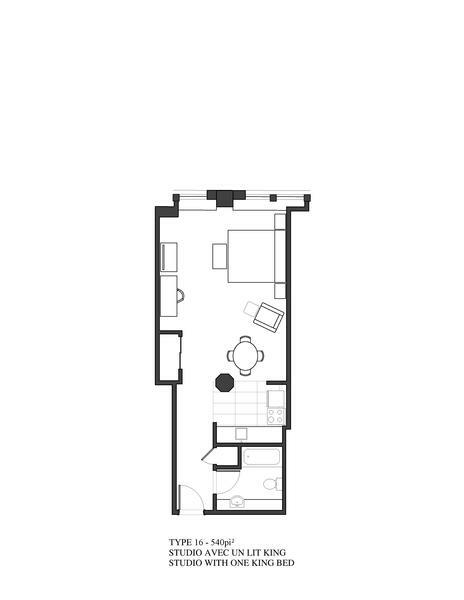 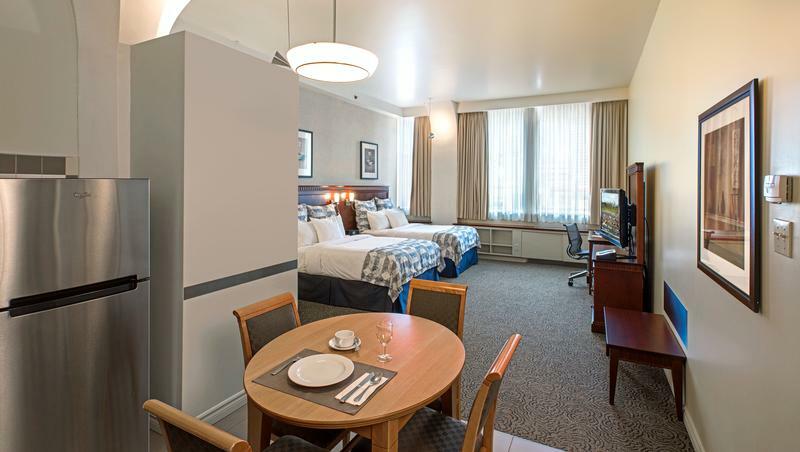 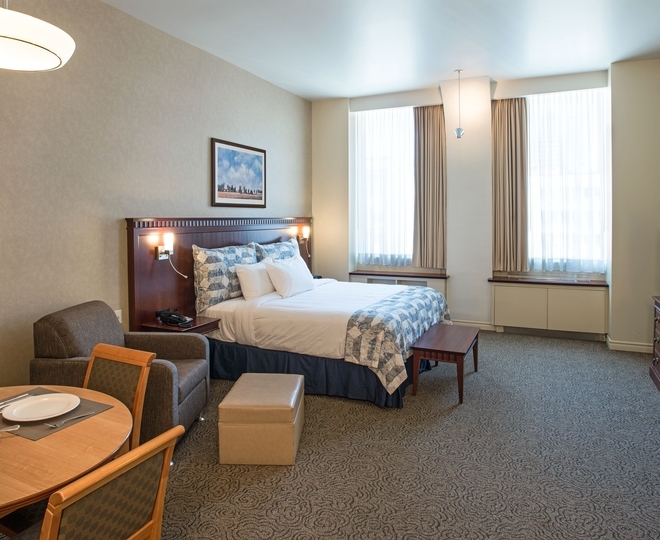 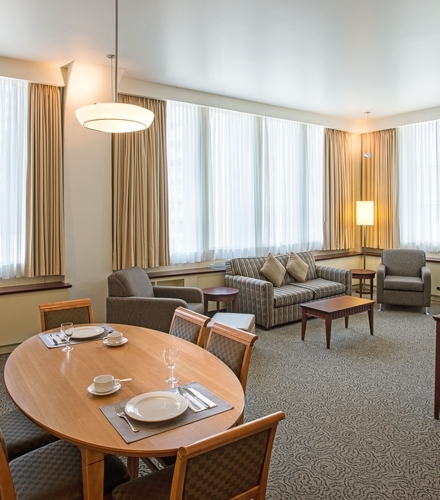 It is a room that is entirely adapted to fit the needs of someone who is in Montreal for business reasons as much as people who visit Montreal as tourists. 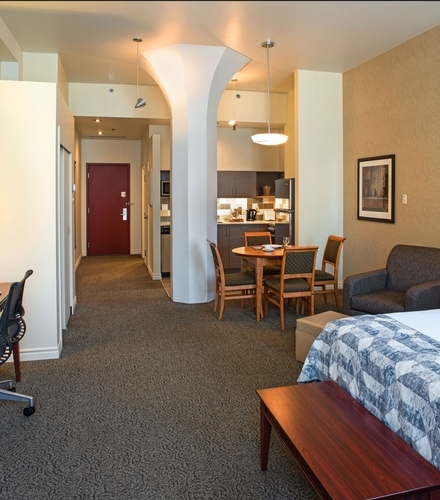 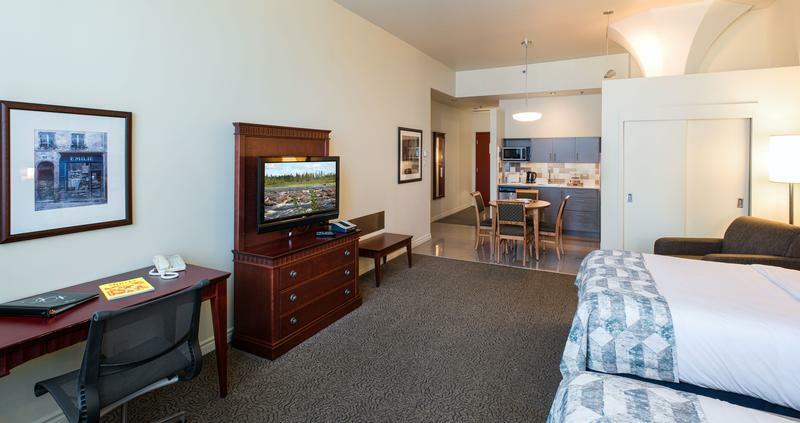 You can rent a studio in the Square Phillips Hotel in two different formats, either with 1 king-sized bed or 2 double-sized beds.